It’s that time of year again: turkey, mashed potatoes, cranberry sauce, pumpkin pie, the presence of friends and family, and a reason to give thanks for all of our good fortune in the last year. 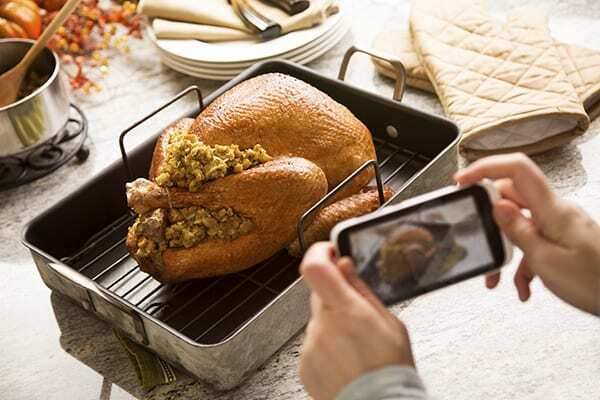 If there’s one thing most of us want to NOT think about on Thanksgiving, it’s technology. Put the smartphones away, pack up the laptop, and disconnect for one day, right? Well, technology can actually help to bring us together on this most American of holidays, provided it’s put to good use instead of as a distraction from family time. 1. Cooking and meal planning apps. Sure, Grandma put out a delicious spread for 15 people without relying on so much as a recipe. But in this digital day and age, doesn’t it make more sense to utilize technology when you’re prepping and cooking for three days straight? From shopping and planning list apps like Clear+ to recipe clearinghouses like Butterball Cookbook Plus to menu assistants like Snapguide to project management sorters like KitchenPad Timer to interactive scales and high-tech thermometers, the app store can be your best (and cheapest) friend as you prepare for Thursday’s feast. 2. Skype, FaceTime, or other video calling services. Far away from your loved ones? Good thing Internet-based video calling is easy, cheap, and everywhere. Whether you prefer Skype, FaceTime, or another video conferencing service, don’t let distance keep you from telling that absent relative how much you love and miss them this Thanksgiving.